Interested in Partnering with TCS? 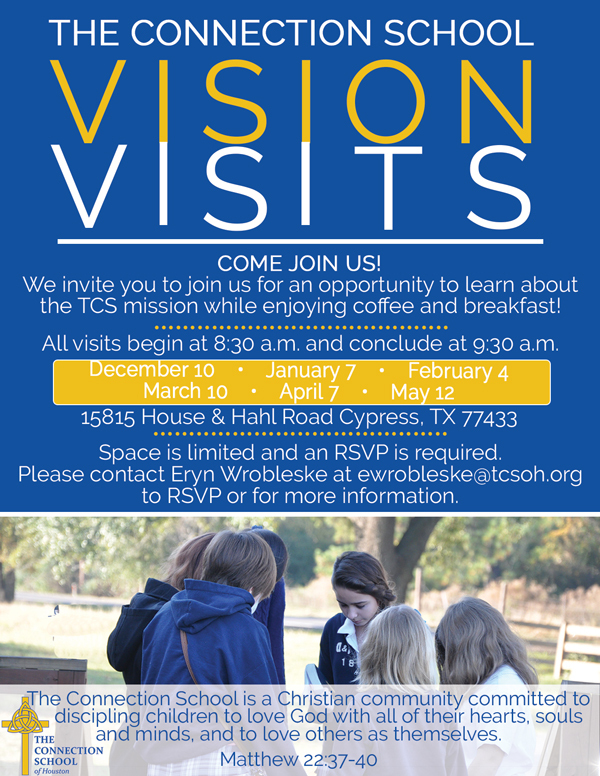 Join Us for a Vision Visit! Vision Visits are dedicated times to share with those who are interested in partnering with The Connection School in fulfilling our vision to disciple children to love God with their entire beings and others as themselves. These opportunities are open to the public and we encourage you to invite your neighbors, family members, pastors, colleagues and others who might be interested in hearing more about the vision of TCS to attend one of these events.